Or, get it for 79200 Kobo Super Points! How did the Victorians read novels? Nicholas Dames answers that deceptively simple question by revealing a now-forgotten range of nineteenth-century theories of the novel, a range based in a study of human physiology during the act of reading, He demonstrates the ways in which the Victorians thought they read, and uncovers surprising responses to the question of what might have transpired in the minds and bodies of readers of Victorian fiction. 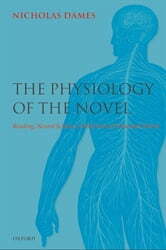 His detailed studies of novel critics who were also interested in neurological science, combined with readings of novels by Thackeray, Eliot, Meredith, and Gissing, propose a vision of the Victorian novel-reader as far from the quietly immersed being we now imagine - as instead a reader whose nervous system was addressed, attacked, and soothed by authors newly aware of the neural operations of their public. Rich in unexpected intersections, from the British response to Wagnerian opera to the birth of speed-reading in the late nineteenth century, The Physiology of the Novel challenges our assumptions about what novel-reading once did, and still does, to the individual reader, and provides new answers to the question of how novels influenced a culture's way of reading, responding, and feeling.